2016 Jeep Wrangler Unlimited Willys Wheeler Sport Utility 4D SOLD!!! Auto Locators is a family owned dealership that was established in Sou .. 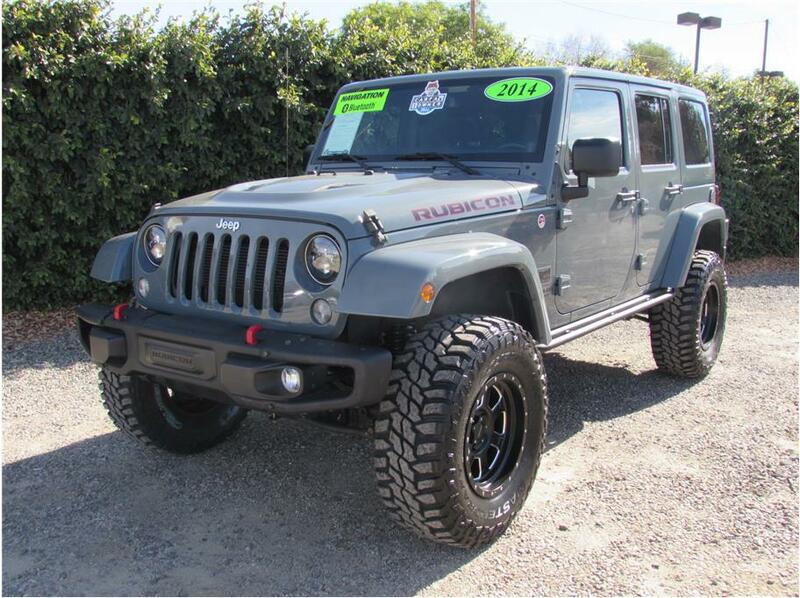 This sick one-owner 2015 Jeep Wrangler Unlimited Rubicon has an automatic transmission and only 32k miles. It has a TeraFlex 4 inch lift with 8 flex arms on new 37x12.50x17 Goodyear Wranglers with Kevlar mounted on red powder coated method bead-lock wheels, ORF Rock s ..
2016 Chevrolet Silverado 2500 HD Crew Cab Lifted SOLD!!! This 2016 Chevy Silverado 2500 LTZ has the Allison Duramax V8, 6.6L engine and automatic transmission with only 17k miles! On the outside, this sick truck has a 6-inch CST lift with 2.0 Fox Reservoir shocks and the front and rear. It has like new 37x13.5x20 Toyo ..
2004 Ford Excursion Lifted SOLD!!!!!! 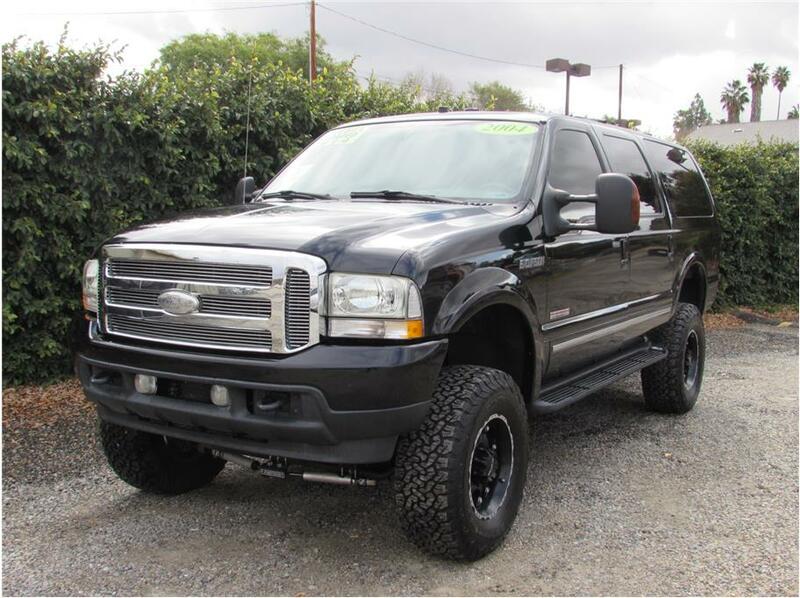 This large 2004 Ford Excursion Limited 4x4 is a beast. It only has 82K original miles on it and powered with the turbo Diesel V8 6.0L motor, an automatic transmission and is a 4x4. Our Excursion comes with a 4 inch Icon Vehicle Dynamics Lift with dual Icon 2.0 series ..
2017 Jeep Wrangler Unlimited Lifted Hyper Green SOLD!!! 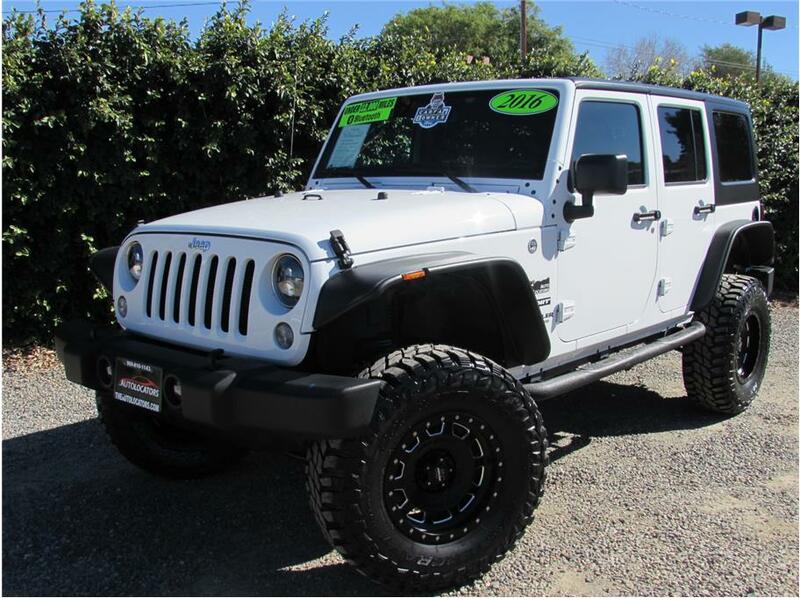 This One-Owner 2017 Jeep Wrangler Unlimited has the V6,3.6L engine with an automatic transmission and only 1,862 miles! There is a brand new 3.5 inch Procomp Lift on 35 inch MT Tires, and New Bushwhacker flat fenders, and angry bird grill, and a 52-inch light bar mounted ..
2014 Jeep Wrangler Unlimited Sport SUV 4D SOLD!!! 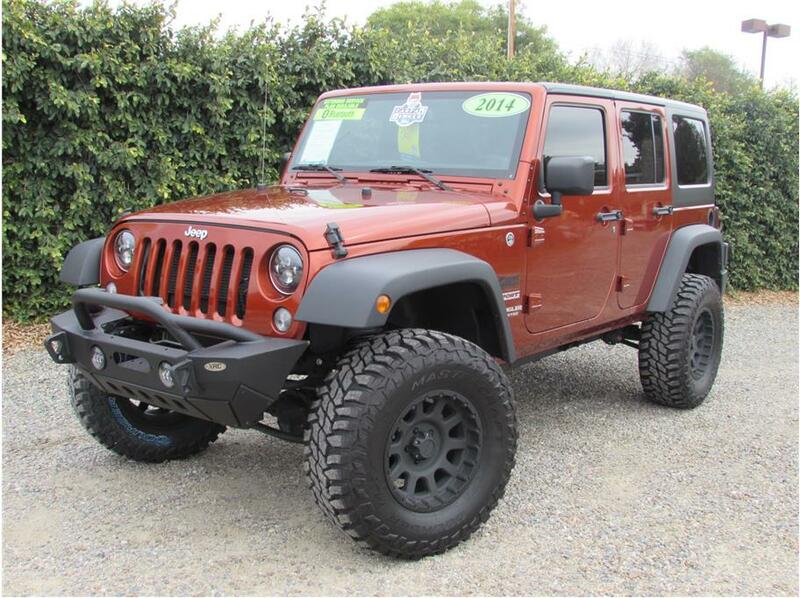 This One-Owner 2014 Jeep Wrangler has the V6, 3.6L engine with an automatic transmission and only 31k miles! There is a brand new a 3.5 inch ProComp lift with brand new matte black ProComp wheels, that look awesome against the Copperhead paint, and 35x12.5x17 tire ..
2013 Ford F250 Super Duty Crew Cab Lariat Pickup 4D 6 3/4 ft SOLD!!! 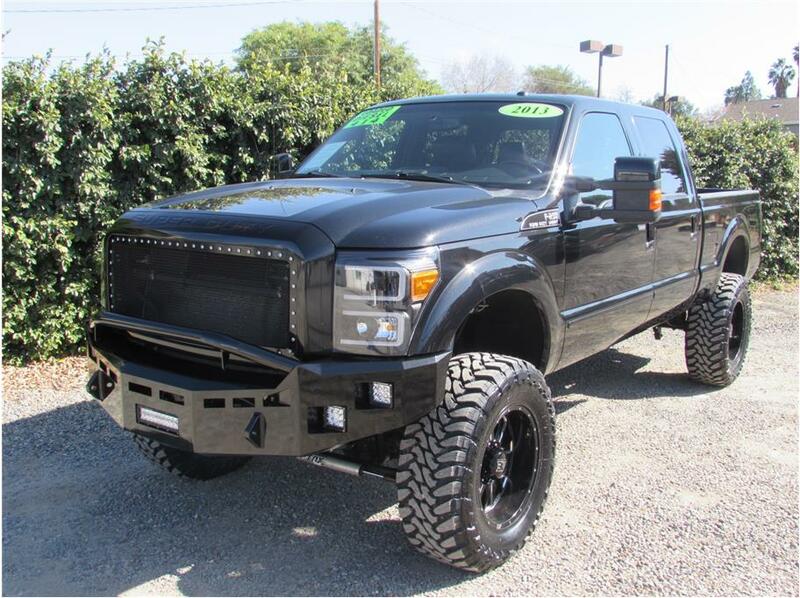 This 2013 Ford F250 Lariat Super Duty Crew Cab 4x4 has the V8 Turbo Diesel 6.7L engine with an automatic transmission and only 77k miles! 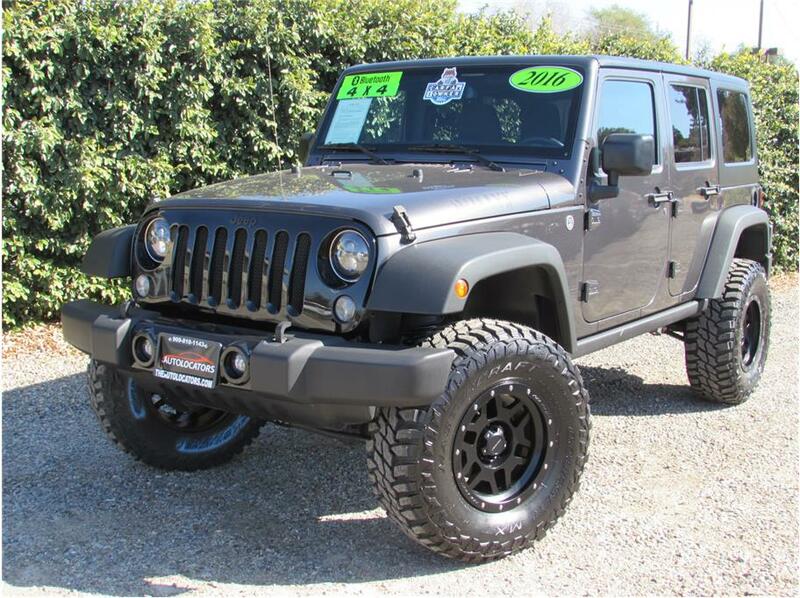 It is fully loaded with awesome features like factory black leather, heated and cooled seats, power windows, door locks, mirro ..
2016 Jeep Wrangler Unlimited Sport SUV SOLD!!! This One-Owner 2016 Jeep Wrangler Unlimited Sport S has the V6 3.6L engine with an automatic transmission and only 11k miles on it! 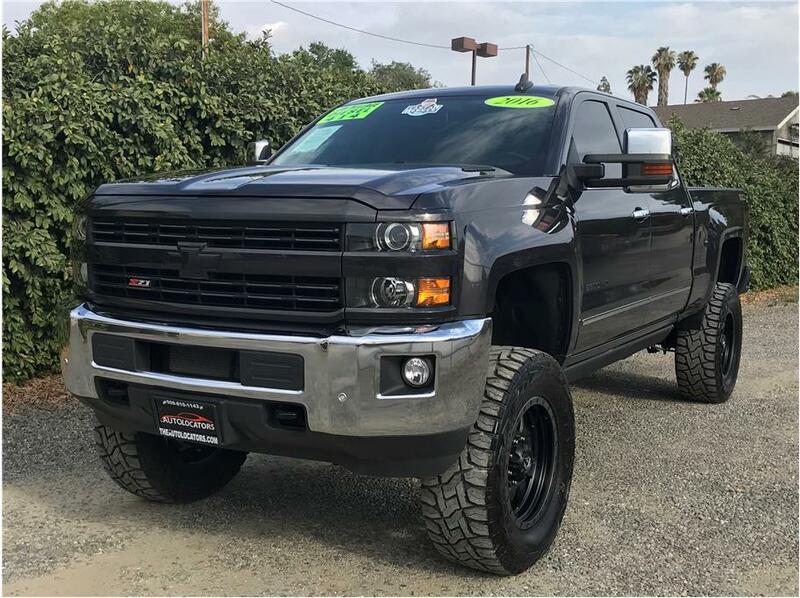 Our Jeep has a brand new 3.5 Pro-Comp lift with brand new 35x12.5x17 tires and satin black milled Hammer Pro-Comp wheels, Bushwacker ..
2015 Chevrolet Silverado 2500 HD Crew Cab Z71 Lifted SOLD!!! 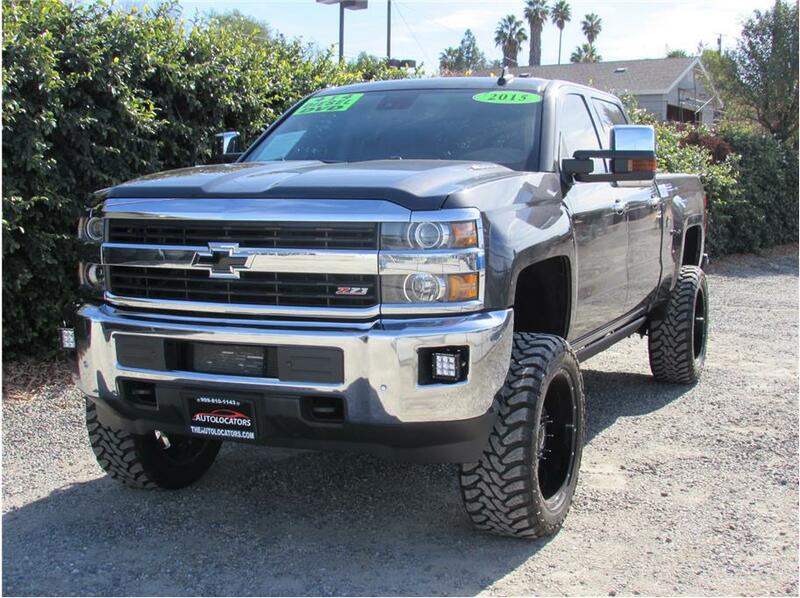 This 2015 Chevy Silverado 2500HD Silverado has the great 6.6L Turbo Diesel Motor with the 6 Speed Allison transmission and only 25k miles. 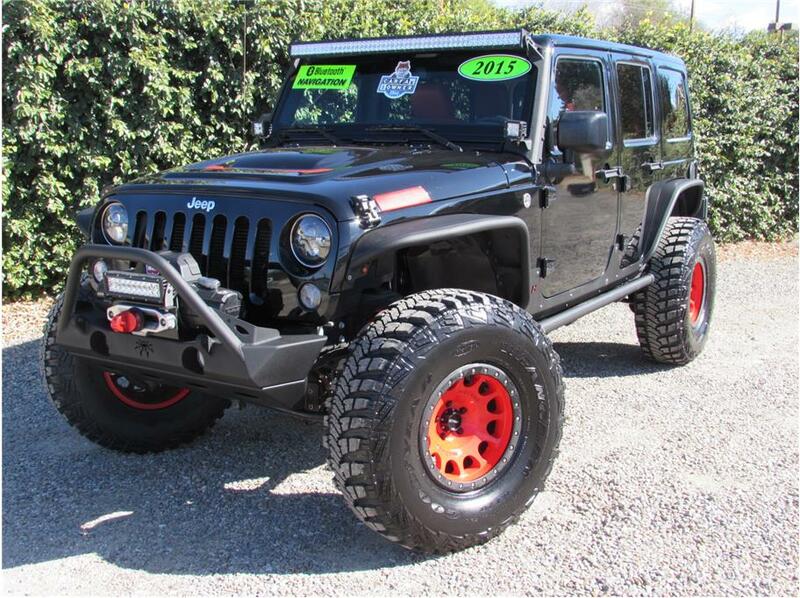 This truck is Loaded with a 4inch CST lift, with Uni-ball upper control arms, front and rear Black adjustable King Shocks wit ..
2014 Jeep Wrangler Anvil SOLD!!! 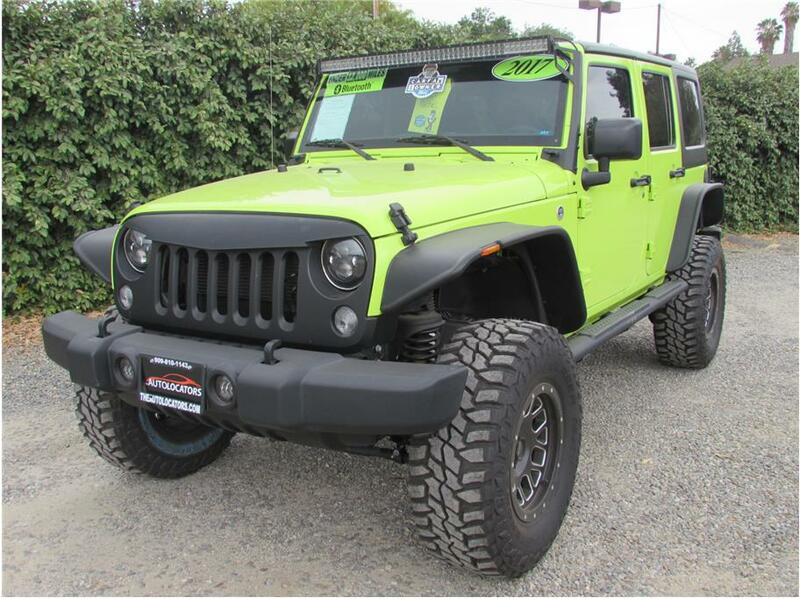 This Jeep Wrangler Unlimited Rubicon X with only 31k miles is ready for some fun and play. Red electric sway bar buttons, power bulge hood, premium EVIC message center, 4:10 Gears, Alpine 9 Speaker stereo with factory navigation, leather, heated seats, electronic sway ..